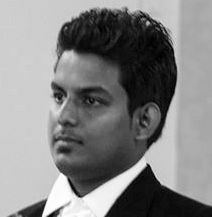 Thihara Neranjya – Fullstack Software Engineer with an affinity for Java. Fullstack Software Engineer with an affinity for Java. Django is a mature web framework for Python. Among it’s many uses is creating REST APIs (or a standalong backend for that matter). Django provides an authentication and authorization mechanism out of the box, but if you wish to make your REST API or the backend stateless, you need to roll your own. Django is a mature web framework for Python. It does it’s job well, however anyone writing a RESTful API in Django will soon find that it lacks some of the basic request parsing you would expect from a web framework. New Relic is normally pretty easy to integrate and doesn’t require any code modifications - at least it didn’t when I was using their Java agent. Push notifications have readily been available for mobile platforms for quite some time. But push notifications for the web is still a new technology that isn’t supported widely yet. At the time of wriiting this blog post, only Chrome, Firefox and Opera supported push notifications. Safari has support for push notifications through a propriety API that is beyond the scope of this article. I’m sure anyone who will be reading this post online would’ve used E-Mail. It’s a pretty convenient method of communicating and there are a lot of free email service providers out there. Load testing is an important step in ensuring that your application can perform well under pressure. After messing about a little bit with Angular 2, I’decided I like it. One of the first things that comes to mind when plaing with a new front-end framework is how can we display data? How do we debug typescript? How to setup an Angular 2 project with Typescript support. There are two ways to create an Angular 2 project. Setting up the Jekyll blog! Setting up Jekyll on git hub as a personal blog wasn’t that hard. But deciding what to write on it wasn’t!